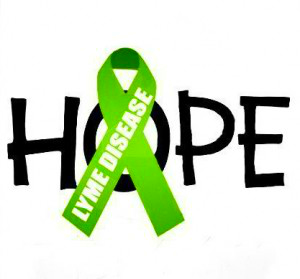 Some interesting and hopeful news has emerged out of the medical establishment over the past two years concerning breakthroughs and open doors in Lyme research. This is truly hard science and not just speculation concerning Lyme disease. Big steps forward. I'm sure many of you are already well aware of these to some degree, as we are a very informed group. Nevertheless, I wanted to post this information for those who might not yet know or have had the opportunity to read. I also want to document some of these together in one place; if only for myself. There are clearly many past and present Lyme studies that are of importance. Of the recent studies I've found, I'm posting four of the ones I think to be quite significant. 1.) Dr. Benjamin Luft, M.D., professor at Stony Brook University Medical Center in New York, and a team of fellow researchers, determined the genetic blueprint of 13 strains of the Lyme bacteria, Borrelia burgdorferi (Bb) in 2010 and posted their findings in the Journal of Bacteriology. The team wanted to identify why certain strains are more invasive than others, which was the motive of the study. Determining all of the Bb genome sequences will lead to understanding every characteristic of the organism, therefore advancing the foundation of better detection, treatment and prevention. Click here to read the October 2010 article Genetic Blueprint of Bacteria Causing Lyme Disease Unraveled on Phys.org. Click here to read the article Genetic Blueprint of Lyme Disease Uncovered posted on Stony Brook University Happenings. 2.) Dr. Steven Schutzer, M.D., immunologist at the University of Medicine and Dentistry of New Jersey, uncovered biomarkers for Lyme disease symptoms that persist even after treatment. In the study, he examined samples of cerebrospinal fluid from patients with Persistent Lyme and Chronic Fatigue Syndrome. After removing common proteins in the fluids, he documented different sets of proteins unique to each group. This is significant in that speculation has been removed concerning the differences between CLD and CFS. Click here to read Discover Magazine's January 2012 article Top 100 Stories of 2011: #90 Chronic Lyme Patients Validated. Click here to read the 2011 research article Distinct Cerebrospinal Fluid Proteomes Differentiate Post Treatment Lyme Disease from Chronic Fatigue Syndrome published in PLOS ONE. 3.) Dr. Eva Sapi, Ph.D., associate professor in the Department of Biology and Environmental Sciences at the University of New Haven in Connecticut, just published research this past October in the Public Library of Science ONE (PLOS ONE) concerning biofilm colonies and their ability to protect Borrelia burgdorferi (Bb), the Lyme bacteria, from antibiotic therapy. Sapi also published research in May 2011 concerning culture techniques, sensitivity of the various forms of Bb, and the persistence of infection. The study demonstrated the ability of Bb to convert from spirochete to cyst form and the development of biofilm colonies of the Lyme bacteria. All of this research would clearly help to explain the frequency of treatment failure as well as the persistence and reoccurance of Lyme infection months or years after treatment. Click here to read the October 2012 article UNH Prof Closes In On Lyme Disease Breakthrough in The New Haven Register. Click here to read the October 2012 research article Characterization of Biofilm Formation by Borrelia burgdorferi In Vitro published in PLOS ONE. Click here to read the original research study article Evaluation of In-Vitro Antibiotic Susceptibility of Different Morphological Forms of Borrelia burgdorferi published in the Journal of Infection and Drug Resistance in May 2011. 4.) Dr. Steven Norris, Ph.D., vice chair for research in the Department of Pathology and Laboratory Medicine at the University of Texas Health Medical School, along with fellow UT researchers, developed a new technique that allowed them to test 15 times more bacterial genes than in the previous thirty years. This advanced technology is expected to lead to efficient assessment of the roles of Borrelia burgdorferi (Bb) genes in the infectious cycle and development of Lyme disease. Their findings were recently posted in October in PLOS ONE. Click here to read the October 2012 article Scientists Step Up Hunt for Bacterial Genes Tied to Lyme Disease posted on Science Daily. Click here to read the October 2012 research article Analysis of An Ordered Comprehensive STM Mutant Library in Infectious Borrelia burgdorferi: Insights Into the Genes Required for Mouse Infectivity published in PLOS ONE. P.S. I believe these significant breakthroughs in Lyme research will help lead to the development of successful treatments and recovery for those of us who are suffering with chronic or long term Lyme disease. I personally believe there are going to be more discoveries and breakthroughs in this next decade that will lead to cures. I'm praying for it. And I am praying for those dedicated scientists and researchers who are diligently working towards this end. They need wisdom. They need understanding. And they need funding. Lets pray for the resources they need. And lets hold onto this hope together. Hi Michelle! Do you care if I "pin" this on pinterest? I have a Lyme Disease Board so I can find things and read them when I have the time. Emily, I don't mind at all. You're more than welcome to pin it. Thanks so much. God bless you too, my friend!